A tower at the western end of the Jinshanling Great Wall. 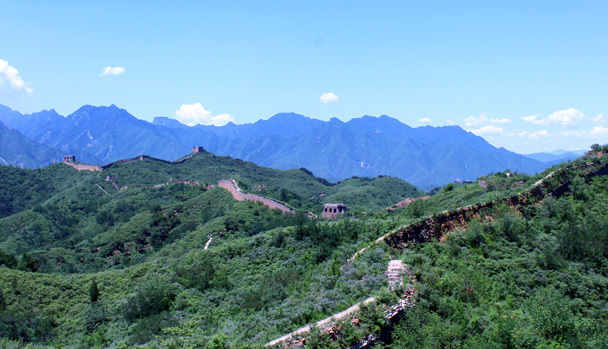 On a clear day the views are awesome, as the wall can be seen running along ridgelines into the far distance. 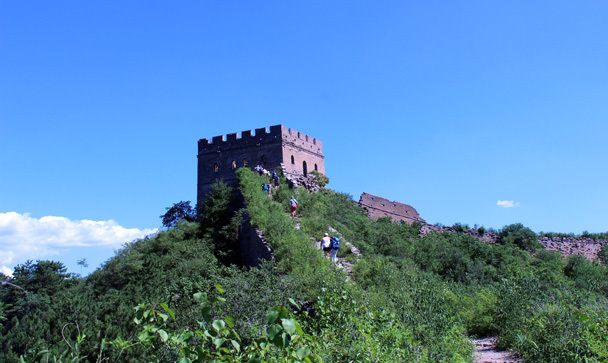 The wall here at Gubeikou is covered by shrubs and trees. 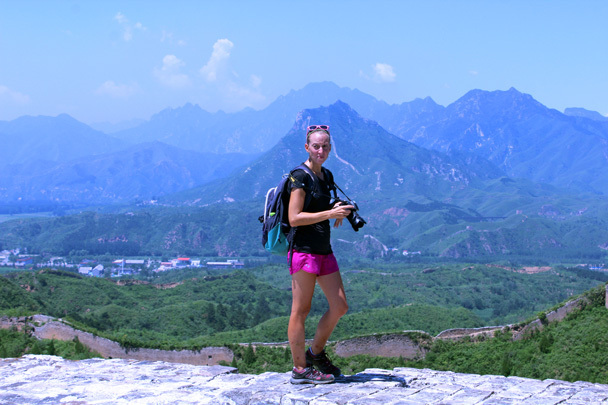 We hiked up to the tall tower in the background. 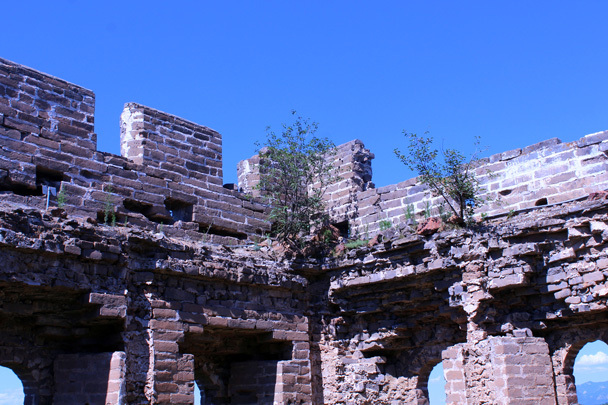 Up on top of a tower. 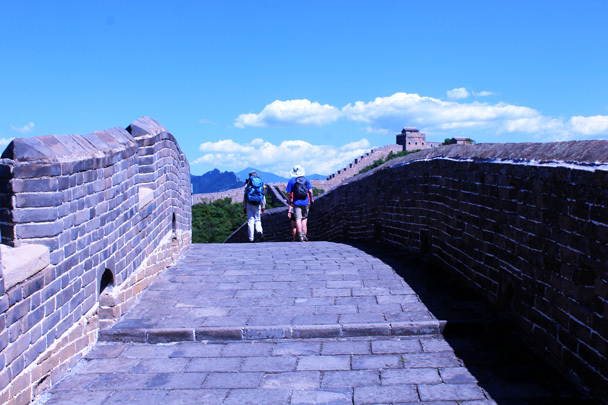 We continued along the wall. 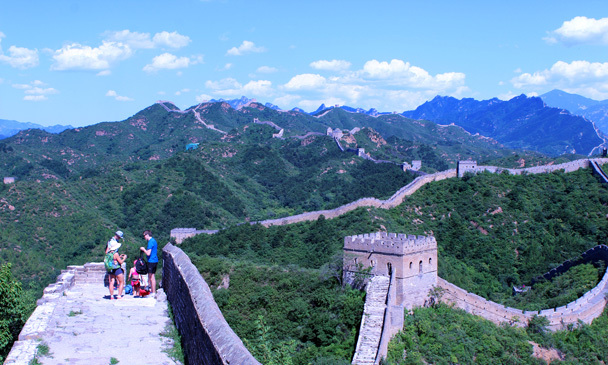 Looking back again – we’d hiked all the wall you can see in the photo. 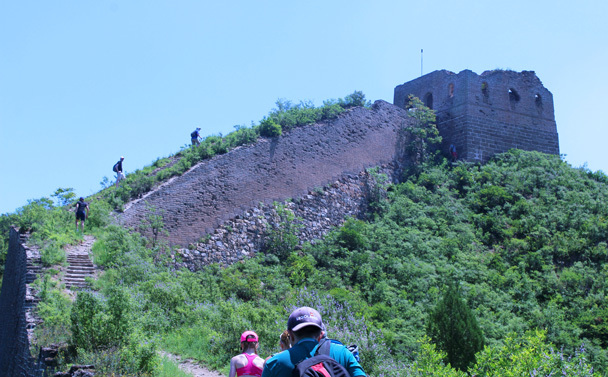 Here we’re on the wall at the western end of Jinshanling. 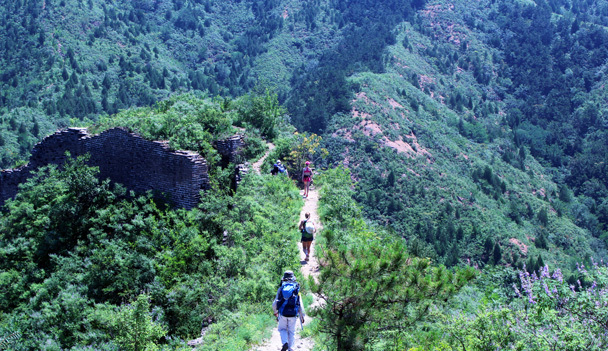 The west end of Jinshanling. 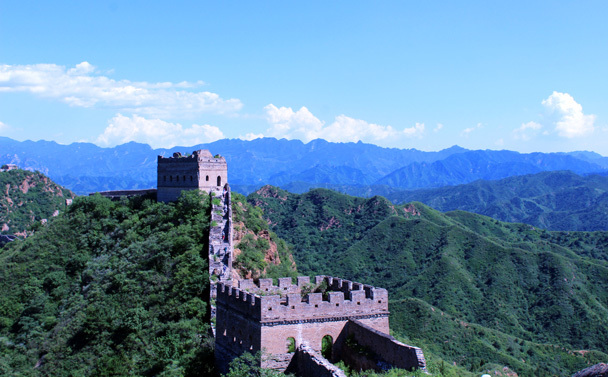 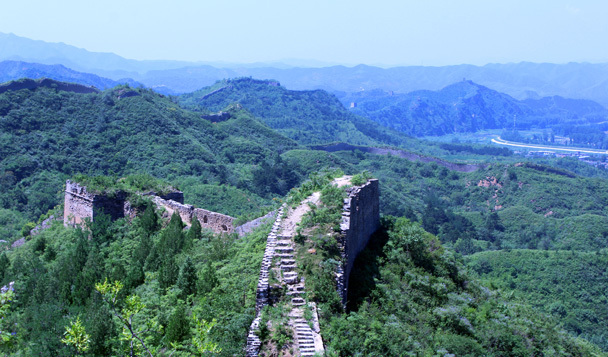 In this photo you can see pretty much all of the Jinshanling Great Wall. 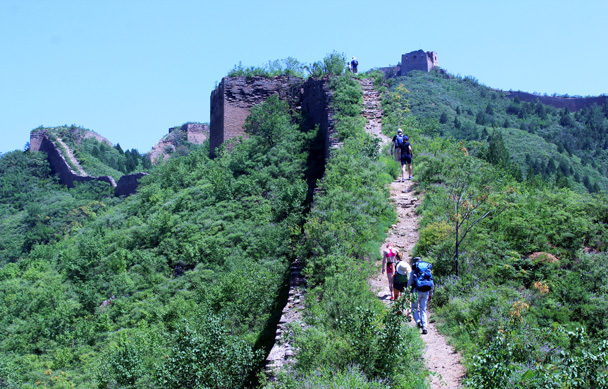 We finished the hike on a restored section of Great Wall. 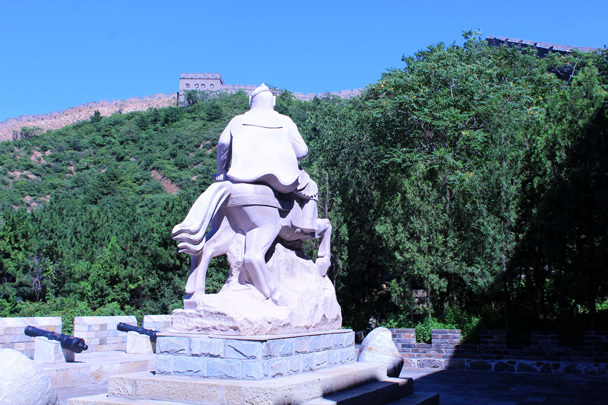 The big statue of General Qi Jiguang, who was responsible for construction of a lot of the Great Wall built near the end of the Ming Dynasty. 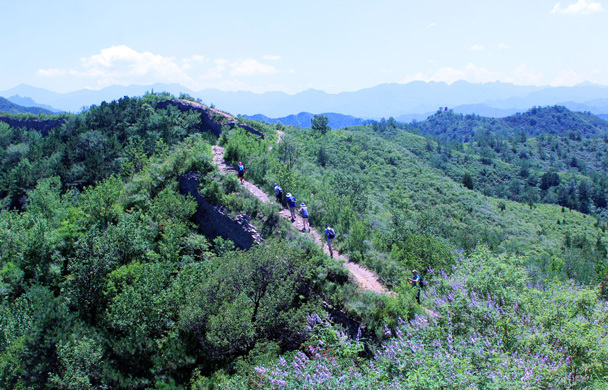 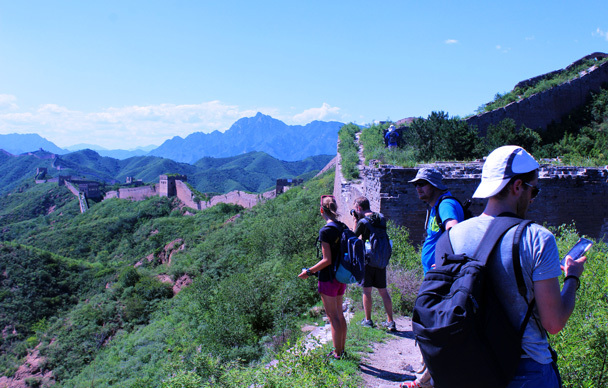 In Brief: See 29 photos from a camping trip at the Gubeikou Great Wall.